You should never open the cover of a failed hard disk drive in attempt to repair, salvage or recover data. The internal assembly of a hard drive is so intricate that exposure to dust, minor condescension or even gaseous contaminants may cause serious damage. Data is written onto the drive by read/write heads are designed to manipulate magnetic particles on the disk surface in order to store data. The heads are literally floating on the surface of the platters at speeds of 4200 to 15,000 RPM. 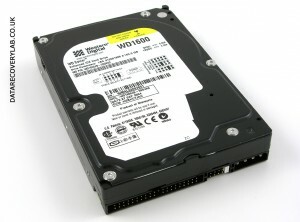 Hard drive recovery must be conducted in a ISO-certified dust-free environment by highly trained and experienced hard drive engineers using hi-tech equipment and parts to ensure the highest quality hard drive recovery. Data Recovery Lab does have the required expertise and equipment to perform a successful hard drive recovery and has consistently delivered a high quality services to its business and private customers.